I just got back from my first visit to Rocky Point (also known as Puerto Peñasco in Mexico) and I am so inspired. I loved this destination so much and I have so many people asking questions about what I did that I figured I might as well publish a post! This might be the fastest I’ve ever written about a destination and it is for a good reason: Rocky Point is seriously the ultimate road trip from Phoenix, Arizona! 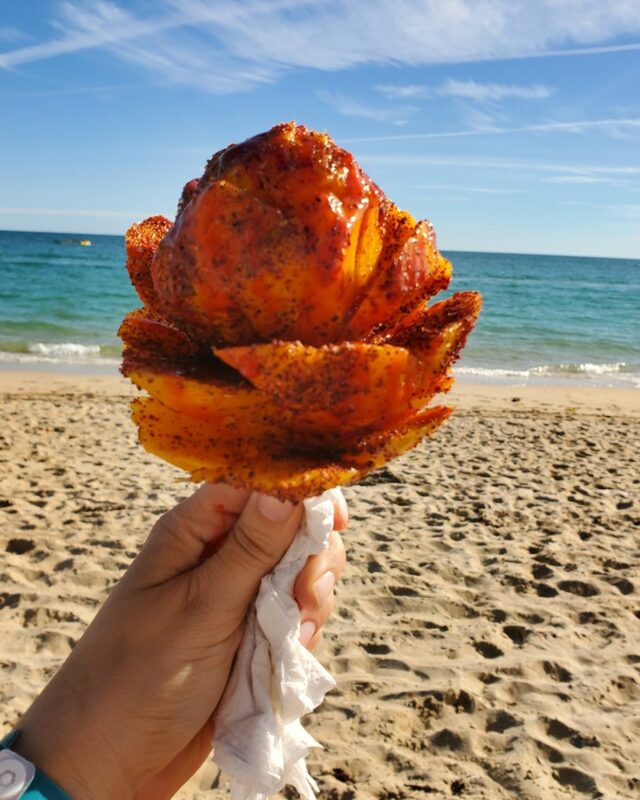 Y’all need to add Rocky Point to your bucket list for so many reasons: beach, adrenaline filled activities, affordability, location, food, and the night life! Today I will be talking about the food but stay tuned for a post with more information on all of the other reasons why you need to visit Rocky Point! I asked for recommendations on Instagram and you all definitely delivered. My favorite restaurants are listed below with #1 being my favorite. Enjoy! 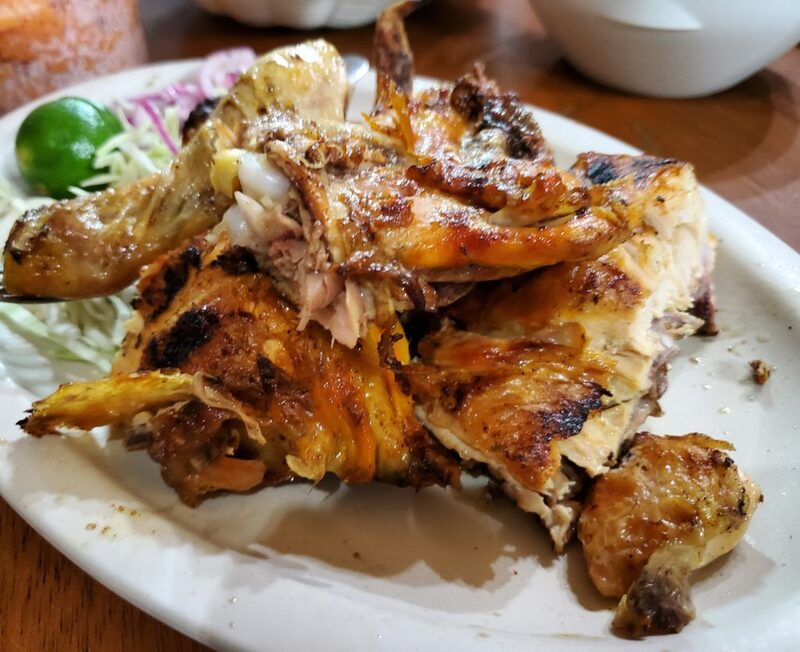 Pollo Lucas was my favorite spot, this place serves up chicken rotisserie style and has the BEST tortillas and beans I’ve ever tasted. You arrive, seat yourself, grab a Coke and wait for your food. The chicken was INCREDIBLE. One thing to note is that they do not sell beer or alcohol, but they do allow you to bring in beer (or at least several people had done this). Tacos & Mariscos Guss Restaurant and Bar was my favorite spot for tacos. They are near all of the bars so I’d recommend coming here for late dinner and then going off to party. 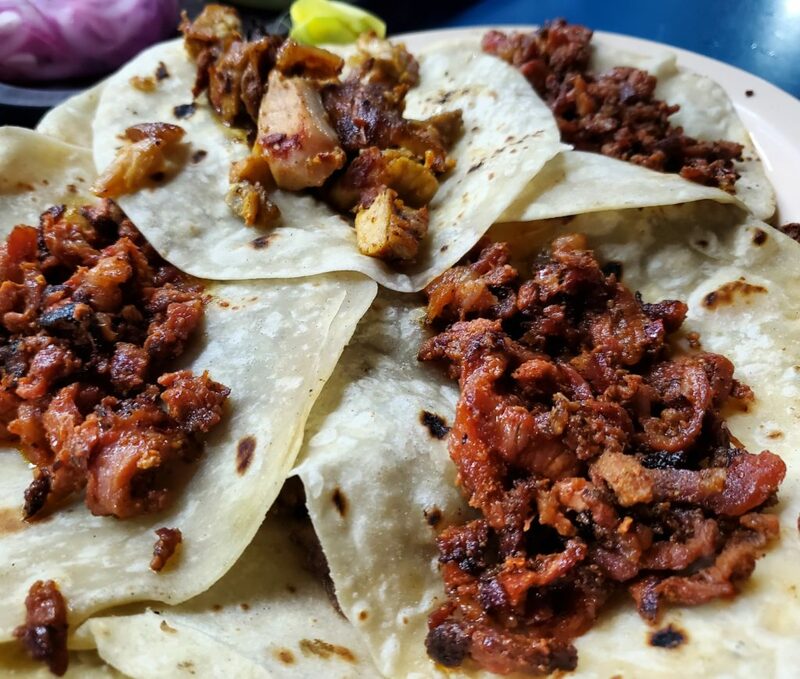 Their tacos al pastor were AMAZING. Their salsa was also my favorite, it was super spicy and flavorful! Federico’s Seafood Bar & Grill was the coolest spot to eat. You got the best views and tasty and affordable food. I had a shrimp cocktail and it was very refreshing! Do yourself a favor and get a margarita. 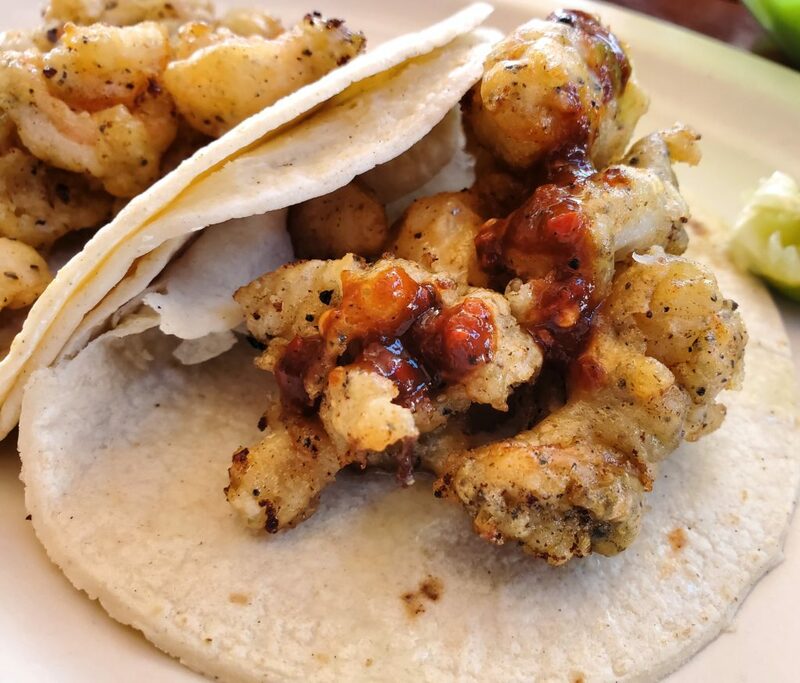 Mariscos el Barrilito was our spot for fried shrimp tacos. It’s a small food truck but I would definitely go back. The shrimp was perfectly fried and their salsa was tasty but not super spicy. 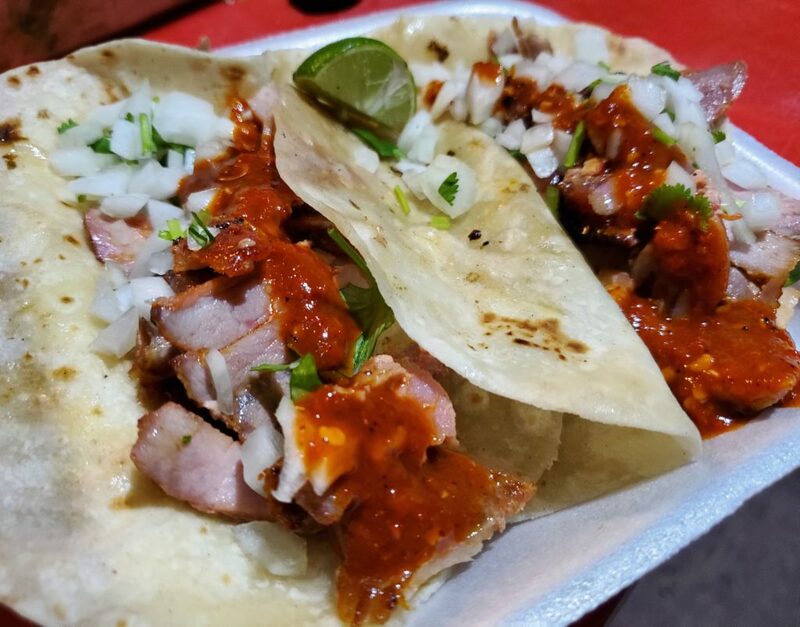 Honorable mention is the taco cart outside of Chango’s Bar. Their tacos were there from 9pm-2am and I was so full after eating just one but they were so tasty that I wanted to keep eating. Another honorable mention are all of the snacks being sold on the beach. You can get anything from fruit (like this juicy mango on a stick with chilli! ), tortillas, tamales, burritos, literally anything! Make sure you take some cash so that you can enjoy a snack while on the beach! 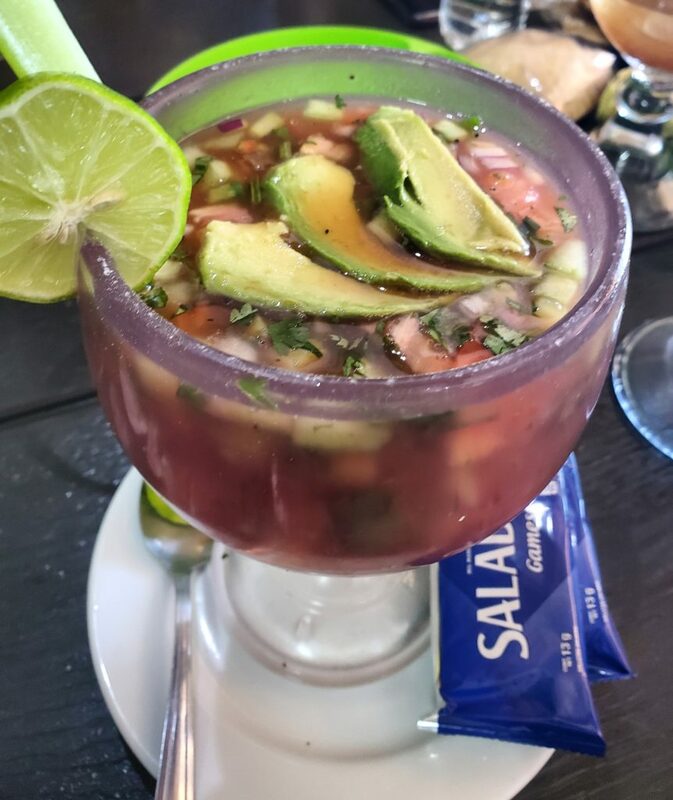 I hope this post inspires you to go out and try all of the food in Rocky Point! Please comment below any recommendations from Rocky Point and I will update my list to reflect that! I’m already trying to plan a trip back, who’s joining me!? For more Mexico inspiration, check out #MairaInMX on Instagram! < Previous A Complete List of Everything You Need To Pack For Your Havasupai Falls Backpacking Trip!